The first speed run I ever saw was the N64's Pokemon Puzzle League. The streamer I found happened to be the world record holder in a few difficulty levels for the game. That stream was my first foray into the world of speed running and the competitive community that surrounds it. Some of the most popular games in speed running, such as Super Mario 64 and Legend of Zelda: Ocarina of Time, aren't exactly the same type of games professional gamers are playing in eSports events. But those games have tons of runners and strong communities that decide the rules of each run, and work to improve times and routes. Speed running doesn't quite get the same attention as eSports, but could it ever get to that level? I think speed running could become another eSports category. There are aspects of speed running that make it different from other eSports, but there are also aspects of speed running that would allow the genre to expand, reach new audiences, and showcase the versatility of video games. 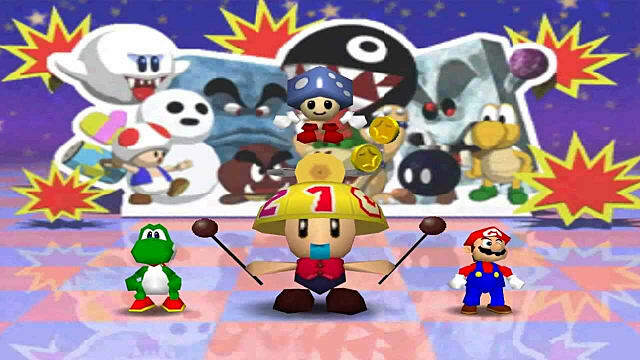 One of my favorite games to watch speed runs of is the Mario Party series, especially the N64 titles. Sometimes in the chat, people ask how you could speed run a Mario Party game. The answer is usually the same -- just go fast and save time where you can. Even games like Stardew Valley and Skyrim can be speed run and have active speed run communities. Although speed running events don't attract huge sponsors the same way that major eSports events do, speed running offers a ton of variety and reaches audiences that may not be interested in eSports at all, such as retro gamers. On one hand, the variety would make speed running an awesome eSport because there are so many different categories, giving viewers the opportunity to see games played in so many different ways. Runners can also compete in different categories, much like the Olympics where athletes compete in different events within their sport. On the other hand, the different categories can make it hard to follow the goals of a run. With more straightforward eSports such as League of Legends and Overwatch, it's clear what the goal is for each team and what skilful play looks like. It's not as straightforward with a speed run. The All Masks run for The Legend of Zelda: Majora's Mask is very different from a 100% run. Not only are the goals completely different, but some techniques needed in one run don't apply in the other, and vice versa. Both speed running and eSports events have commentators to inform the audience and explain gameplay, but some speed runs can be hard to follow if no commentary is provided. Part of what makes eSports entertaining to watch is there's going to be a lot of gameplay to watch. Matches in some games can run for hours. Or in games like hearthstone, competitors do a best of three or best of five. The same cannot be said of speed running. For example, the world record for Super Mario Bros. Any% is less than five minutes long. The top 400 times, according to Speedrun.com, are all less than six minutes long. Even if the competition was a best of five races, that's still only 40 minutes of game time per player. On the other end of the spectrum, there might not be any competitions for the Super Mario Odyssey 100% run any time soon as the world record in that category is just under 13 hours. I'm not saying speed running isn't fun to watch -- far from it. I'm arguing speed running attracts an audience for a different reason. Part of it is watching a particular runner speed run a game versus watching a race or a competition of a certain game. Sure, it's fun to root for your favorite runner, but it's not quite the same as supporting your favorite eSports team. In some ways, speed running is already an eSport. There are major speedrunning events like Awesome Games Done Quick in January 2018 and the European Speedrunner Assembly the following month. And that's just a couple of the bigger events -- there are many smaller speed running competitions happening all the time. Each game as their top, well-known runners the way eSports has their top, well-known teams and competitors. Despite the similarities, it's not an one-to-one comparison. Speed running could become an eSport, but in my opinion, it wouldn't be the same caliber of the eSports we have today.